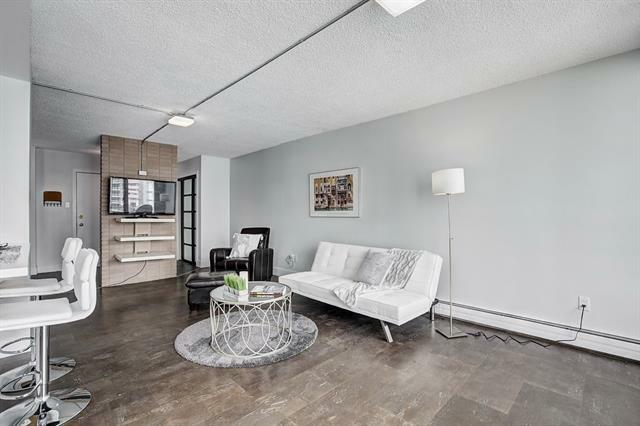 Beautifully renovated top floor unit just under 1300 square feet! Extensive renovations recently completed throughout. 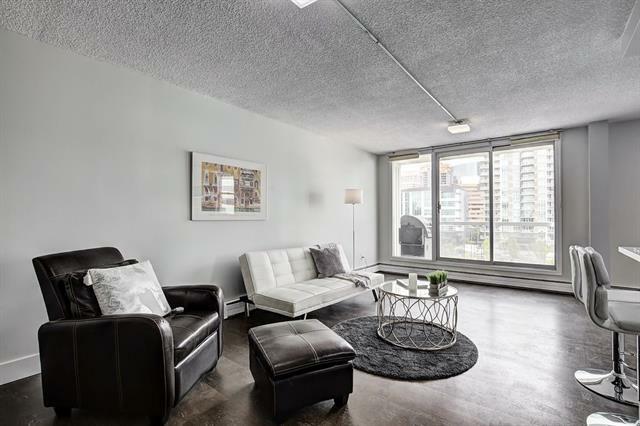 Huge 2 bedroom plus den (or can be used as 3 bedroom), top floor corner unit with excellent downtown views! 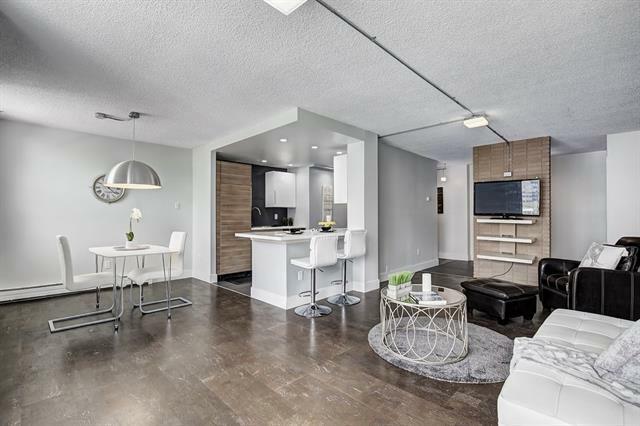 Upgrades include 24"x 24" designer tile flooring in bathrooms and front entry, dark cork flooring in the living room, hallways, and eating area. A brand new chef's dream kitchen with a wall opened up that overlooks into the living room, stainless steel appliances, custom glass/stainless steel hood-fan, custom cabinets, pot lights, Corian counter-tops, tile back-splash, over-sized sink, and built in wine cooler. Master bedroom has it's own private balcony. New carpet, light fixtures, paint. Master bath has double sinks and custom tile shower. Front loading in-suite washer & dryer. 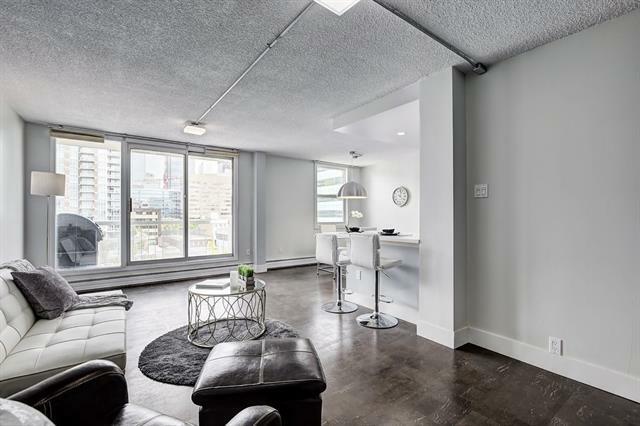 Parking for 2 cars in the parkade (tandem), separate 6'x 6'8" underground storage locker, and separate underground bike storage. This unit is a must see!